The Finance Officer is the controlling officer of Purchase Section. The intermediary officer in the Purchase Section is Sri. Vinodh Kumar. 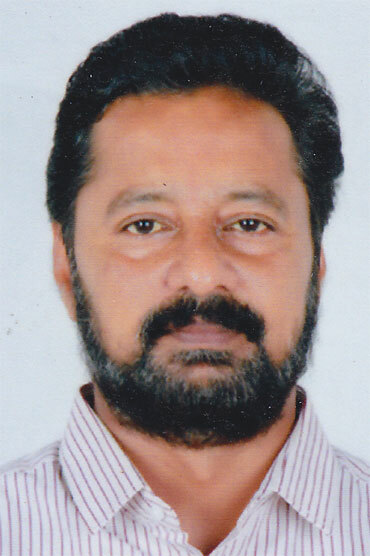 R, Senior Superintendent., Sri. Jayagopal. T. R, Junior Superintendent is the Superintendent of Purchase Section. The following are the details of work allotted and dealing hands in the Purchase Section. This section deals with the purchase matters of Engineering Colleges under IHRD and any other work allotted by the higher authorities. PA4 - Sri. Haridath. D, Office Assistant. This section deals with the purchase matters of Technical Higher Secondary Schools, Regional Centres, Extension Centres, Study Centres under IHRD ,work related to stock verification (write off) and maintaining of Casual leave and connected register of Purchase section and furnishing of absentees statement to Finance B Section and any other work allotted by the higher authorities. This section deals with the purchase of various items for IHRD, Headquarters, maintenance of stock of various stores in IHRD Headquarters, printing and supply of various materials of all institutions under IHRD, Custodian of all furniture and other items kept in stock and matter related to purchase, repair and maintenance of vehicle, purchase relating to MFS, maintenance of Asset Register, Printing and Supply of forms and other records/register required in the Headquarters and IHRD institutions using Risographic machine, charge of Library of Headquarters and any other work allotted by the higher authorities.